Gardening has always played an important part in my life; as one of six children when growing up, money was fairly tight and my parents grew almost everything we ate in their abundant, chemical free fruit and vegetable garden. We were encouraged to have our very own plot of soil and right from our early childhood days gardening became an exciting adventure that seemed to have so many rewards. The first strawberry for the season… a plump ripe tomato…. or a lush patch of parsley; they were the joys and highlights of my childhood days which has continued right throughout my life; I now encourage my children and their children to grow their own fruit, veg and herbs. 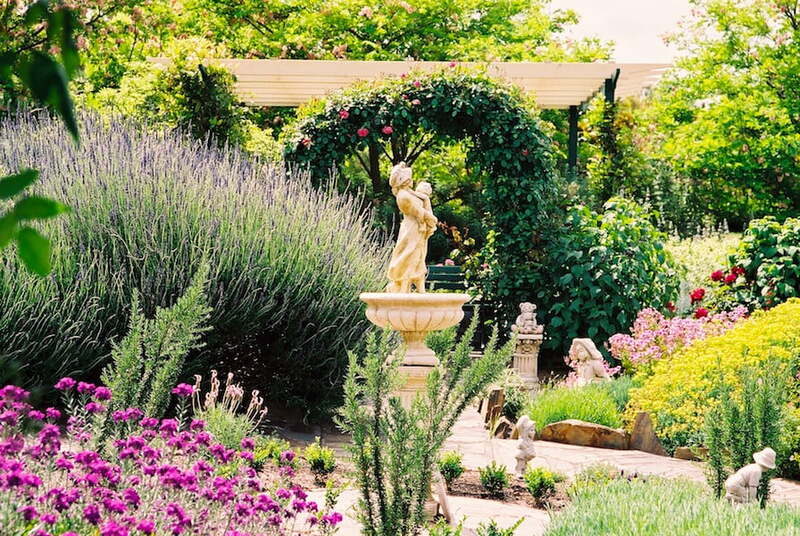 Our family herb garden near the old tank stand was one of my favourite places as a child and I would go there and touch and smell the mint, the thyme, the rosemary and the beautiful French lavender; all of which grew so well in that spot. Herbs are amazing plants and they come in all shapes and sizes – from the tiny low growing ground cover thymes to the tall towering Bay Laurus nobilis or Ginkgo biloba trees; this amazing group of plants has given us food, shelter and medicine for thousands of years. Herbs are a must in our culinary world and I often feel by adding a few herbs to my cookpot I change from being a plain cook, to dare I say it, almost a gourmet chef; and all by just adding those wonderful flavours of coriander, lemon grass, garlic, chilli, marjoram or sage to the cookpot. Herbs are also useful as insect repellent plants and I combine my plantings of vegetables with various types of herbs like thyme and lavender to deter some of the bugs that often attack the veggies. Herbs also provide the basis for a number of household cleaning and skincare products and there can be nothing nicer than making up your own chemical free soaps, shampoos, makeup, beauty treatments as well as toothpaste and even perfume. In the garden, herbs provide shade, food and shelter for our wildlife and they do make excellent companion plants that help to bring the birds, bees and butterflies back to our gardens to pollinate fruit and veggies and whilst they’re in the garden, they tend to take care of many of those unwanted pests. Most herbs are easy to grow, but generally they enjoy a sunny, well drained spot in the garden; although they can be grown successfully in containers, large or small. Some varieties of herbs can even be grown on a sunny window sill indoors. Whether you are growing herbs to enhance your cooking, for any other reasons or just as decorative plants, the choices are unlimited and depending on your selection they can be grown from either seed, tip or hardwood cutting, seedling or the larger plants can be purchased from your local garden centre. 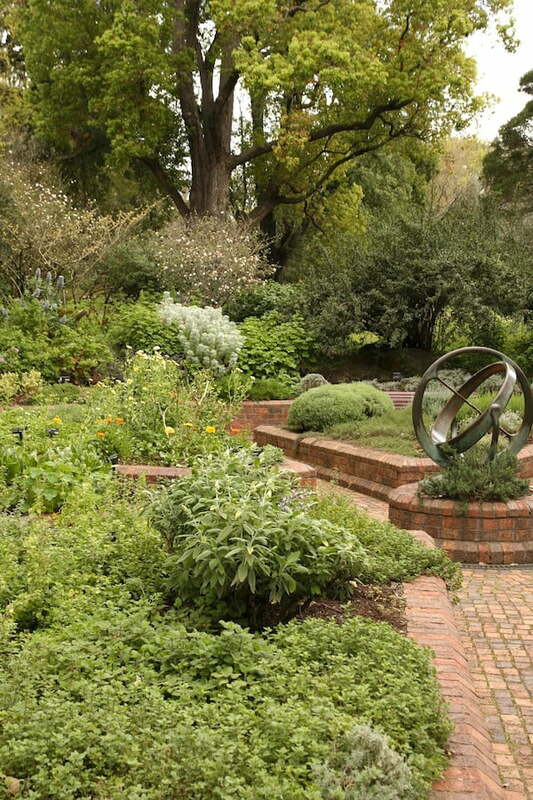 If you’re landscaping a garden, why not consider herbs as a choice of plants. They come in varying shades of green or grey foliage, many have a wonderful perfume, they make exceptionally good borders along pathways providing colour, balance and texture to an area of the garden. 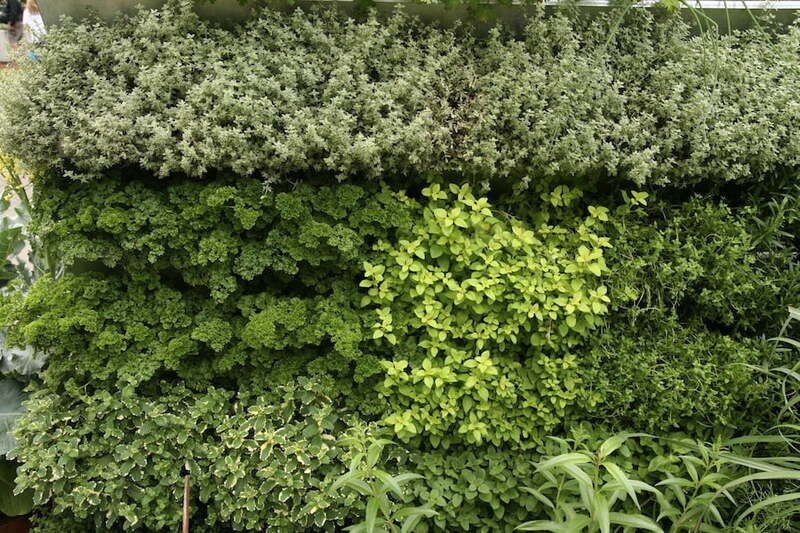 They can be used as an excellent backdrop or screening specimen to cover an unsightly area. From the low growing ground covers, rockery specimens, border plants, taller shrubs or trees, there is a spot for a herb in every garden. Herbs do play an important role in the success of the spring/summer vegetable patch. A lot of common herbs like thyme, sage, rosemary and lavender flower at this time of year and their flowers attract the bees and other insects that are needed to help with the pollination process for tomatoes, cucumbers, melons and other vegetables as well as stone fruit. Low growing herbs can be used as borders to define a path or a designated area and these could include chives, garlic chives, parsley, salad burnett, savoury, thyme or oregano. 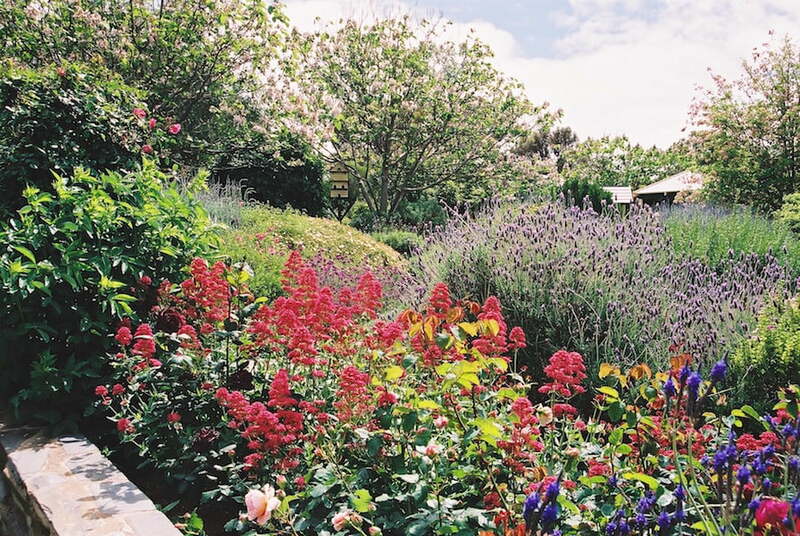 If you are looking for a taller variety of border plant, consider lavender, rosemary, sage, wormwood or plant one of the many varieties of salvia that tend to flower continuously for months on end. Most herbs should be cut back regularly and the best time to do this is after they finish flowering. Herbs, just like other plant groups, can be annual, perennial and some like parsley are actually biennial and will go on sometimes for a few years. A lot of herbs self seed readily which means you have a continuous supply of that particular herb. Nasturtium, marigold, rocket, coriander, parsley, dill and fennel all tend to self seed if planted in the right spot. I love growing herbs in various shaped containers and this works well if you do live in a unit or house that has limited garden space. I also find that the added benefit of container plantings is that I can shift these tubs around to catch the sun or even move them out of strong damaging winds or frosty spots if the plant tends to be affected by frost. Herbs can be used as simple effective sprays to deter garden pests like slugs and snails, millipedes, earwigs and other critters that tend to attack our plants. A simple recipe of crushed garlic and finely diced chilli boiled in water for a few minutes, left to steep for several hours and then strained into a spray bottle can help rid the garden from annoying pests. If using this or a similar natural spray it is best to spray at dusk or very early in the morning when the birds are not prevalent. Birds are important in our gardens and should be encouraged to visit regularly as they will help take care of many of these pests like aphid, snails and slugs. Herbs that are suitable to plant to attract birds, bees and butterflies to your garden include lavender, rosemary, fennel, dill and salvia. There is an enormous range of ornamental salvia that do attract the birds due to the sweet nectar in their flowers. Always make sure that you have a pond, bird bath or a container of fresh water somewhere in the garden area so that the birds can have a drink when they visit your garden. 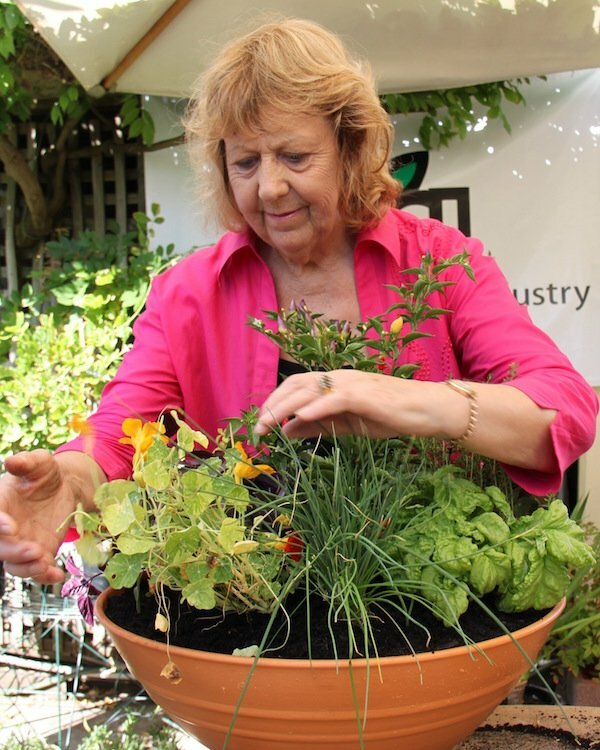 June Taylor has worked for 50 years in the media and for the last 20 years she has been an active member of the horticultural media. A passionate herbalist, much sought after dynamic public speaker, member of the HMA in SA, winner of a NGISA "Award of Excellence", June has recently 'retired' to the beautiful Fleurieu Peninsula south of Adelaide after 25 years of running the TLC Herb Farm . She now spends time promoting major events, writing, broadcasting, presenting workshops and talks on gardening. She regularly hosts garden tours and her next tour in February 2017 will take in the beautiful gardens of Norfolk Island. Good morning June, I heard you speaking to Michael Keelan this morning about Goolwa. What a surprise to hear of the Italian (was it Festival?) I’d love to read more, do you have anything printed I can read. I love your passion and knowledge for herbs.